Chyavanaprash is a unique and complex Ayurvedic preparation. This herbal concoction is a thick, brown and sticky paste with a jam-like consistency that is usually taken in one or two doses of a tablespoon daily. The formula of Chyavanaprash was first discovered by a sage called Chyawan. The Charaka Samhita is an ancient Ayurvedic text written around the 4th Century B.C. by Charaka which has the earliest recorded formula for Chyavanaprash. 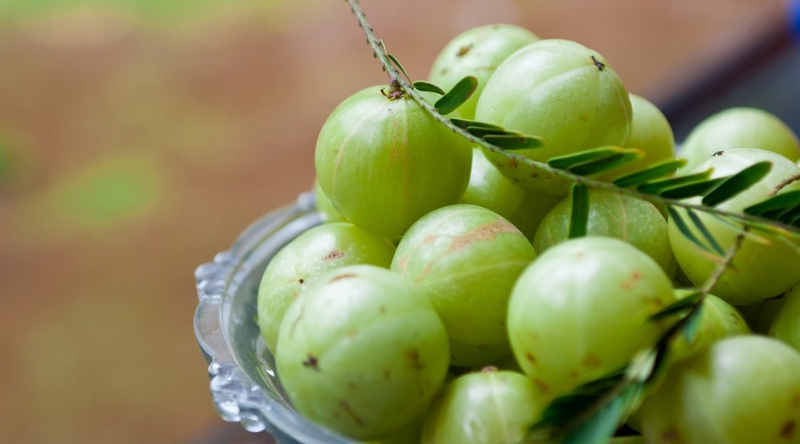 Recipe: Amla or Indian gooseberry forms the base of every Chyavanaprash recipe, and has 30 times more Vitamin C content than oranges.The Pankajakasthuri recipe has several other ingredients, including Kashmari, Bilwa (Aegle marmelos), Patala (Stereospermum chelonoides), Agnimantham (Premna mucronata), Bala (Sida cordifolia), Syonakam (Oroxylum indicum), and Pippali or long pepper (Piper longum). It also includes cardamom, nutmeg and cinnamon for flavour, with a base of ghee and honey. Digestive System: Chyavanaprash contains amla and cinnamon, which are known to be excellent for maintaining good health in your digestive tract. The regular usage of Pankajakasthuri Chyavanaprash in your daily diet will promote better absorption of food, improve appetite and reduce the occurrence of any digestive problems. Strengthens immunity: It helps prevent respiratory diseases and breathing problems. Due to its high Vitamin C content, it works internally to build up your immune system and increase its resistance to pathogens. It also contains ellagic acid which improves your overall body’s ability to fight off diseases. Blood pressure maintenance: Chyavanaprash is known to help relieve hypertension and high blood pressure. Vitamin C is an essential vitamin that research proves can help reduce heightened blood pressure. It also strengthens the body from within, enhancing immunity. Lung, liver and kidney health: Regular intake of Chyavanaprash also ensures there is adequate moisture for the lungs to function smoothly. It also gets rid of toxins, acting as a blood purifier. In addition, it improves kidney health and eliminates waste from the body with little or no stress on the urinary system. Good for the heart: Chyavanaprash protects the heart through its ingredients such as sesame oil, which has a positive effect on the functioning of the heart. It also can potentially help lower cholesterol levels and reduce the risk of heart attacks. All-round health benefits: This wonderful herbal preparation is also great for overall wellness. It improves skin complexion, giving it a healthy glow. It increases hair growth and also ensures that the body increases its absorption of calcium for strong teeth and bones. Improves fertility: Infertility is becoming extremely common today due to lifestyle, environment and other factors. Chyavanaprash regulates the menstrual cycle in women, and also boosts fertility and helps to overcome any issues in conceiving. These are just a few of the numerous benefits of this wonder herbal jam. The recommended dosage is 15gm (1 tablespoonful) twice daily preferably with milk, or as directed by the physician. Children should take half the adult dosage. Build a healthy and happy family with Pankajakasthuri Chyavanaprash – buy it here now.